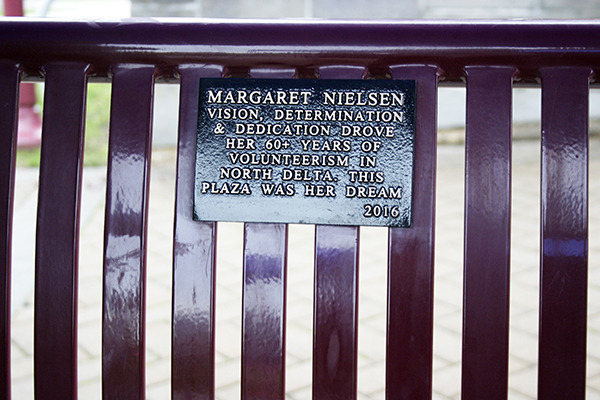 Delta honoured the late Margaret Nielsen with a bench in North Delta commemorating her more than 60 years of volunteerism. 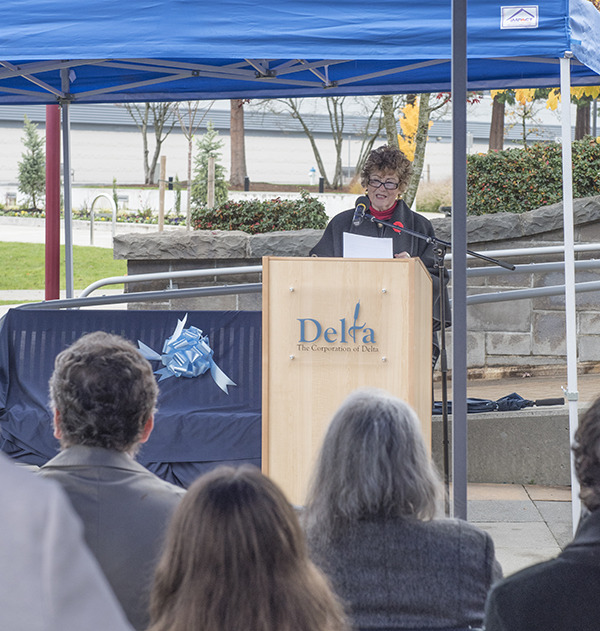 Before the crowds arrived at the North Delta Social Heart Plaza on Remembrance Day, dozens gathered at the site to honour the woman without whom it may never have come to be. 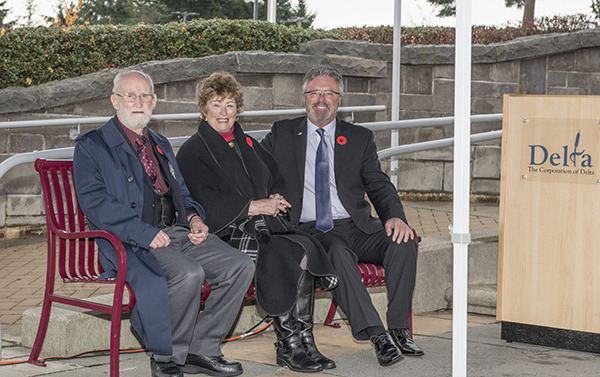 Family and friends of Margaret Nielsen came together to remember the tireless volunteer as Mayor Lois Jackson, Delta North MLA Scott Hamilton and Nielsen’s husband Jack unveiled a bench commemorating her more than 60 years of volunteerism. Nielsen (pictured), who passed away last December at the age of 87, spent most of her adult life in Delta, splitting her time between her two biggest passions: her family and her community. The ceremony was an emotional one for Nielsen’s granddaughter Rebecca Khan. “It’s so silly, it’s a bench, but for me it’s a really important thing just because it is that bit of recognition that she never craved,” Khan told the Reporter, fighting back tears. “She never asked for accolades, but for the Corporation [of Delta] and MLA [Scott Hamilton] to just come through and be like, ‘your grandma was really important,’ it just means a lot. Nielsen’s kindness and generosity weren’t just reserved for family. Khan remembered two occasions she said typify her grandmother’s big heart and concern for others. Over the years, Nielsen sat on a number of municipal committees including the transportation committee, Delta seniors community planning team, advisory committee for youth and seniors and several other subcommittees representing seniors for Delta parks, recreation and culture, including the one that conceived of and created the Social Heart Plaza and its memorial wall. “She was the inspiration behind this little civic plaza. She wanted a place where the veterans in North Delta and their families could come and remember. She envisioned this and worked very hard with Delta to make it happen, so it was only appropriate that we acknowledge her years of service,” Hamilton told the Reporter. Nielsen was also a regular at North Delta’s Kennedy Seniors Recreation Centre and serving on the Kennedy House Seniors Society board since 1992. 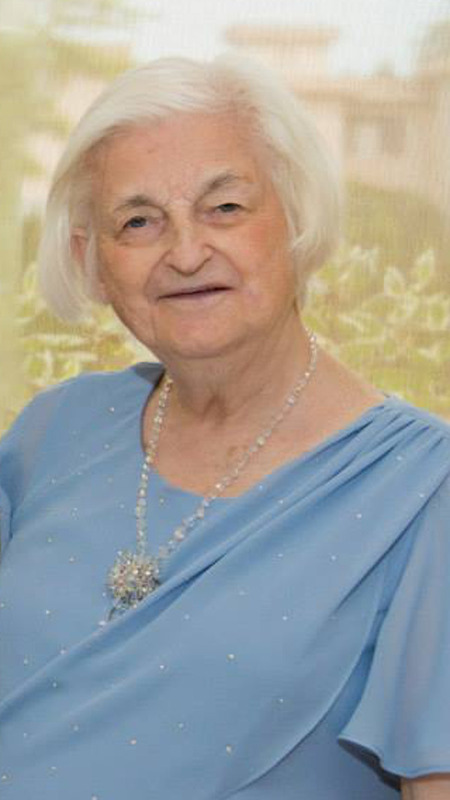 Nielsen was honoured several times in her life for her contributions to the community. She was recognized as a Delta Hero by the Delta Museum and Archives Society, was appointed as a senior counsellor by the Province of British Columbia, and received the Queen’s Jubilee Medal for outstanding volunteer service, the Canadian Medal for International Year of the Volunteer and the International Year of Older Persons Award. A passionate advocate for children and the war on drugs, Nielsen and her husband fostered 90 children, many of whom were runaways and/or had substance abuse issues. “There’s so many things that she was involved in with the Corporation [of Delta] since I was in miniskirts, when I first started out in this business. But I first met her…when it was the hippy era, and all the kids were going off to California and all over the place,” Jackson told the Reporter. For those in attendance, Friday’s ceremony was one more chance to pay tribute to a dear departed friend, someone whose many contributions to North Delta and the entire municipality will be felt for decades to come.